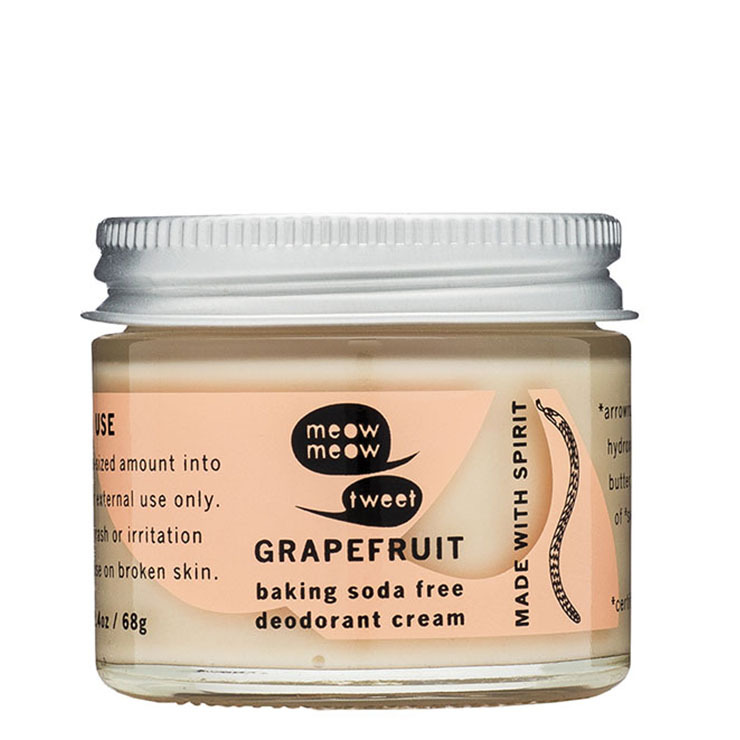 Meow Meow Tweet's Baking Soda Free Deodorant Cream is a great daily use deodorant to address signs of underarm odor (that is suitable for pregnant and nursing women) - perfect for those with sensitive skin. Because it is formulated with no baking soda or clay, the recipe uses Magnesium and Arrowroot Powder to diminish signs of moisture and odor. 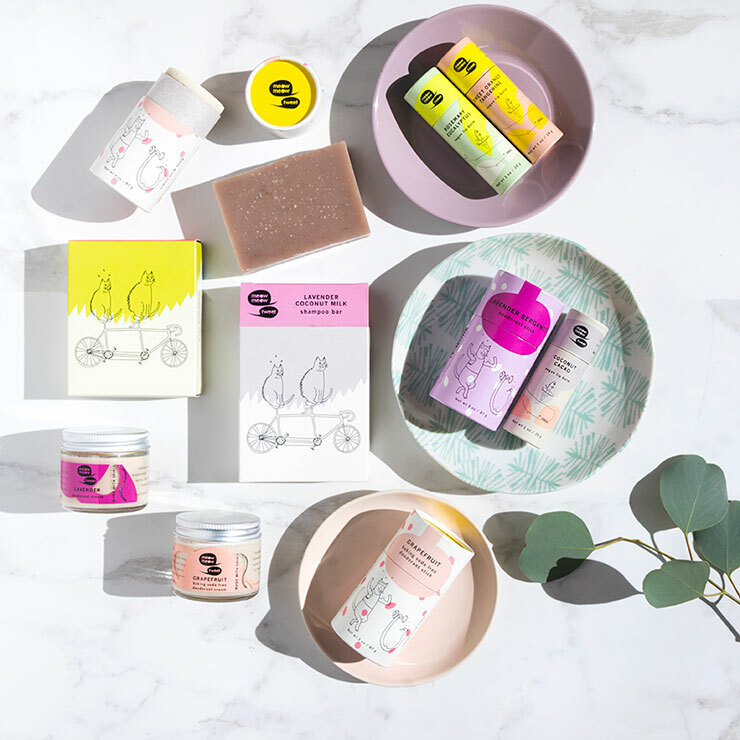 Skin is left feeling soothed, conditioned, and nourished by natural plant oils and butters, and a potent blend of essential oils keep skin smelling fresh all day long. Gently rub pea-sized amount into each armpit with your fingertips.